We don't need no (management) education? Schools with greater autonomy often perform well, but there is disagreement over whether this is due to better management or cherry-picking of students. Based on interviews with over 1,800 head teachers, this column finds that management quality is strongly correlated with pupil performance. Autonomous schools have better management, and this result does not appear to be driven by pupil composition or other observable factors. However, autonomy for head teachers is not enough - accountability to school governors is also needed. Over the last decade or so, however, it has been from economists at the London School of Economics, notably Jo Blanden and Stephen Machin, that the highest-profile and most influential findings on social mobility have come. This has been, above all, through their use of two birth cohort studies – one of them tracking the lives of all children born in Britain in one week in 1958, the other doing the same for the children of one week in 1970. In essence, they have found that the economic status of the 1970 cohort is, compared with the earlier cohort, more dependent on family background – and that accordingly, social mobility in early 21st century Britain is in decline. The chancellor of the exchequer, George Osborne, has delivered the financial package he hopes will convince voters to deliver a Conservative majority in May 2015. Here, a team of academic experts [that includes the Centre for Economic Performance's Director Professor John Van Reenen and Research Associate Dr Jo Blanden] responds to the contents of the Autumn Statement. [Joshua] Angrist, the Ford Professor of Economics, has long been one of the leading advocates of research that uses ''ceteris paribus'' [other things being equal] principles. Now, along with Jorn-Steffen Pischke of the London School of Economics, Angrist has written a book on the subject for a general audience, Mastering Metrics: The Path from Cause to Effect, published later this month by Princeton University Press. Decentralising forms of financial support may harm access and increase inequality says Gill Wyness. ... Universities are becoming more active in offering financial support to poor students, over and above what is provided by the government in maintenance loans and grants. The problem is, these decentralised forms of support - in which universities themselves decide who to support and how - may actually do more harm than good. Will Britain get a payrise? A flexible labour market that favours jobs over pay during tough times is clearly preferable to one that results in the economic and social pain of mass unemployment. Better still, if the economic recovery is sustained long enough to combine a continued fall in unemployment with strengthening productivity growth, we could be on the verge of the kind of labour market scenario George Osborne must dream of: full employment and rising real living standards. However, this positive picture doesn't necessarily translate into an equally rosy outlook for pay. One reason, as research by John van Reenan, Director of the Centre for Economic Performance at the London School of Economics, has shown, is that even when productivity rises employers are nowadays more likely to improve non-wage elements of reward packages-which include contributions to staff pensions and health insurance, plus employers' national insurance contributions-at the expense of pay increases. Much attention of researchers and policy-makers has been directed at the effects of immigration on the wages and employment of natives in the host country (for example, Friedberg and Hunt 1995; Manacorda et al 2012; Dustmann et al 2013). But most empirical studies have failed to find any convincing evidence of substantial negative impact. ... Research in several countries suggests that immigrants are typically healthier than natives when arriving (unsurprisingly if the economic gains from migrating for work are greater for the more healthy), but they assimilate to native health levels over time. It would therefore be odd if burdens on health spending were very much different to those from comparable UK-born. Wadsworth (2013), for example, shows no difference, which is compatible with what has been found for other countries. The potential impact of immigration on crime rates is sometimes cited as an issue. But again, empirical work across several countries offers little to confirm such fears. Bell et al (2013) and Jaitman and Machin (2013), for example, show that the most recent wave of UK immigration has had no evident impact on crime rates. Bell, B, F Fasani and S Machin (2013) Crime and Immigration: Evidence from Large Immigrant Waves, Review of Economics and Statistics 95: 1278-1290. Geay, C, S McNally and S Telhaj (2013) Non-native Speakers of English in the Classroom: What are the Effects on Pupil Performance?, Economic Journal 123: F281-307. Jaitman, L and S Machin (2013) Crime and Immigration: New Evidence from England and Wales, IZA Journal of Migration 2(19). Machin, S and R Murphy (2014) 'Paying Out and Crowding Out: The Globalisation of Higher Education', Centre for Economic Performance Discussion Paper No 1299, September 2014. Manacorda, M, A Manning and J Wadsworth (2012) The Impact of Immigration on the Structure of Wages: Theory and Evidence from Britain, Journal of the European Economic Association 10: 120-51. Wadsworth, J (2013) Musn't Grumble: Immigration, Health and Health Service Use in the UK and Germany, Fiscal Studies 34: 55-82.
ï»¿A panel of academic experts told the Treasury select committee that the report overstated the benefits by six to eight times. Henry Overman, professor of economic geography at the London School of Economics, who is to give evidence to the committee on Tuesday, said findings used a procedure that was 'essentially made up'. Permanent low pay threatens to overtake us, with the Treasury, hit by lower tax receipts, facing an ever-rising benefits bill. On Wednesday Steve Machin, research director at the LSE's centre for economic performance, laid out to a meeting of economists the collected evidence on the nature of falling pay - and warned that this is beginning to look not like a slow recovery in wages, but a permanent, structural feature of the UK economy. He showed how the group-think of economic forecasters has consistently and wildly over-estimated an expected increase in wages: the OBR forecast for March this year was a wage rise of 4.3 percent. What happened has been a continuing real fall. As free nursery places for three year olds fail to deliver lasting educational benefits, Dr Jo Blanden argues we need to see a sensible approach to early years policy. The academies programme has transformed England's educational landscape. ... A separate study by Professor Machin and Andrew Eyles at the London School of Economics identified ''beneficial effects'' in schools becoming academies. No va mas...quien ganara el Nobel de Economia? Some researchers have studied the characteristics of happy people. They identified six factors which only concern the economy (unemployment), the others being: divorce rate, the level of trust between the people, the number of participants in non-religious organizations, the number of believers and the quality of government. (Reference: Happiness: Lessons from a New Science, Richard Layard, 2005). Fees paid by growing numbers of overseas postgraduates studying in the UK have helped to subsidise additional places for domestic learners. That is among the findings of a new paper by Stephen Machin, professor of economics at University College London, and Richard Murphy, assistant professor of economics at the University of Texas at Austin, which analyses correlations between the increases in the numbers of British-born and overseas students in UK higher education institutions. ...The full research is detailed in a discussion paper from the Centre for Economic Performance at the London School of Economics, and is summarised in article published today in CentrePiece, the Centre's quarterly magazine. While government policy will play a key role, the actions of managers and their organizations will decisively influence the realization of global productivity potential in the years ahead. Prof John van Reenen, director of the Centre for Economic Performance at the London School of Economics, notes that average workers have been hit hardest. “Over time non-manual jobs have found their tasks taken over by computers and robots. Think of bank clerks and ATM machines,” he says. In Japan, it is the young who have been hurt worst as the traditional salaried jobs in big companies dwindled. LSE professor of social policy Martin Knapp said many people with dementia and their families are essentially paying out £21,000 a year through the unpaid care provided by carers and covering the costs of social care. There are around 1.3 billion children enrolled in primary and secondary schools worldwide. Each year, governments spend trillions of dollars on their education systems with the objective of educating children to the highest possible standard. Some governments use available budgets more efficiently than others. A new report which I co-authored called the Efficiency Index, published by London-based education consultancy GEMS Education Solutions, has highlighted which countries are using these most effectively to produce the best educational outcomes for their young people. Finland, Korea and the Czech Republic come out on top of the 30-country list. The Efficiency Index: Which Education Systems Deliver the Best Value for Money? by Peter Dolton, Oscar Marcenaro-Gutierrez and Adam Still, published by GEMS Education Solutions, September 2014. Camille is visting the CEP from September 2014 until September 2015. She has joined the Education Programme. She is currently working on research projects focusing on biases in teachers’ grades and how it affects pupils' progress, teachers' recruitment and teachers’ assignment to schools through a centralized allocation mechanism. Camille completed her Master's degree in Economics at the Paris School of Economics. This column presents evidence from a new test of taste-based discrimination. Examining hiring decisions in the English Fantasy Premier League, the authors do not find that employers discriminate based on race. One explanation for this is that good productivity measures minimise the opportunities for statistical discrimination, which according to studies drives the racial difference in market outcomes. Babies born to mothers who hold a stronger belief that their fate is in their own hands and not down to luck tend to perform better in their GCSE exams 16 years later. That is the central finding of new research by the Centre for Economic Performance (CEP). The SNP has been in government in a devolved Scotland for more than seven years. During that time it has had control over most of the levers of social justice, from education to healthcare, from local authority spending to housing. The fact that the party has chosen to concentrate on constitutional reform rather than, to take one example, school reform, is their decision and not Westminster's. If anything is instrumental in turning around people's lives it is education - proof of which is now being seen in England's inner cities. Here, there are no plans for the revolution that is rescuing failing schools south of the border, and there remain ''deep levels of inequality... particularly between pupils from different socio-economic groups'', claims the LSE study 'Education in a Devolved Scotland'. 'Education in a Devolved Scotland: A Quantitative Analysis', Stephen Machin, Sandra McNally and Gill Wyness, Centre for Economic Performance Special Paper No.30, May 2013. If Hadza nomads get by on 14 hours' work a week, why can't we? A substantial literature already surrounds the UK ''productivity puzzle'', whereby post-recession output and employment have risen while national productivity markedly drops: $42.1 contribution to GDP per hour worked in 2013, compared with a eurozone average of $43.7 and a G7 rate of $48.4. Explanations for the plunge range from the misallocation of resources and the post-crash investment famine to, in several studies, the long-term fall in real wages. Professor John Van Reenen of the London School of Economics argues in a paper that ''low wages and weak investment mean a big fall in the amount of effective capital per worker and this accounts for most of the fall in labour productivity''. Yesterday the Independent featured an interview with British economist Richard Layard. The article's headline features Layard proclaiming ''that money is not the only thing affecting peoples happiness''. Layard has written two books in which he claims that not enough is done for the mental wellbeing of citizens despite the massive costs to the economy. Layard is one of the champions of the happiness index that David Cameron has previously voiced support for. Does Germany rule your world? Second, it is the view of most economists that Germany has been the biggest winner out the euro, and that being part of the euro - rather than keeping its old currency the Deutschmark - has been an enormous advantage. When it joined, the exchange rate was set at EURO 1 = DM1.96, which most people at the time thought was a fair rate. But it is estimated by the European Commission itself that since then, Germany's real exchange rate has fallen by nearly 20 per cent. In other words, if Germany had kept the Deutschmark, the value of its goods would have been 20 per cent more expensive to any potential customer. Being part of the shared euro, kept weak by struggling neighbours, has helped it drag down the cost of its goods. As a result, German cars, kettles and shoelaces suddenly became far cheaper to buy. This argument has long been pushed by Nobel prize-winning economist Paul Krugman, no less, who has emerged one of the chief Germany-bashers. But a number of other Nobel prize-winning economists, such as Joseph Stiglitz and Christopher Pissarides, have recently joined him in voicing criticisms of the inherent problems of a powerful northern Europe, led by Germany, and a weak southern Europe all using the same currency. Germany, they say, urgently has to readdress its serious imbalances. The most obvious method would be to make its goods more expensive, by pushing up its workers' wages. Men det finnes grenser. Professor Richard Layard ved London School of Economics har funnet ut at tilfredshet og lykke stiger dramatisk med okt kjopekraft - inntil man nar en arsinntekt pa rundt 20.000 dollar, eller rundt 120.000 kroner. Etter dette gir ikke okte inntekter saerlig utslag pa lykkeskalaen. But there are limits. Professor Richard Layard at the London School of Economics has found that contentment and happiness rises dramatically with increased purchasing power-until one reaches an annual income of around 20,000 dollars, or around 120,000 dollars. After this, it does not provide any increased revenues, in particular, reflected on the happiness index. Turning houses into gold: the failure of British planning, Paul Cheshire. Article in CentrePiece Volume 19, Issue 1, Spring 2014. Turning houses into gold: the failure of British planning, Paul Cheshire. LSE British Politics and Policy blog, posted May 7, 2014. According to research from the London School of Economics published in June of this year in the Journal of American Medical Association of Paediatrics the cost of autism to the UK economy is £32 billion. There are now more than 1.1 million children in our schools whose first language ''is known or believed to be other than English'' according to the latest government figures. ... Chinese students are our highest performing group and the presence of so many Polish students has helped improve the position of many of our Catholic schools in the league tables, as shown by a study carried out by the LSE in 2012. “Comprehensive schools are a social experiment which went so horribly wrong that no party is quite brave enough to confess to its error. An LSE study revealed that people born in 1958, most of whom went to secondary school when grammar schools were still around, were more likely to move up the earnings ladder relative to their parents than were people born in 1970, most of whom went to comprehensives. The crisis in question is one of mental health, yet what our politicians propose to do about it remains unclear. If they’re in need of help, they could always start with a careful reading of a new book by the economist Richard Layard and clinical psychologist David Clark. 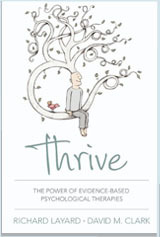 At the heart of Thrive: The Power of Evidence-Based Psychological Therapies is a bewildering conundrum. Mental illness is extremely common: one in three people will experience a problem at some point during their lifetime; in any one year, 19% of us will suffer from an anxiety disorder, 13% from a substance problem, and 7% from depression. If personal misery on this scale isn’t sufficient to move politicians to action, an annual cost to the exchequer of approximately £28bn (not counting NHS costs) might be expected to do the trick. Yet most people receive no medical help for their conditions, and of the minority that do get treatment, very few receive the most effective form. Publicly traded companies are the engine behind China's growth, which raises the question of how CEO compensation works under an interventionist state. This column presents an analysis of executive compensation in China and a comparison to the West. Chinese listed firms have incentive structures similar to those of the US; in this case, effective compensation policies seem to transcend political boundaries. Professor Martin Knapp, from the London School of Economics, said discovering a treatment to delay the onset of dementia by just 36 months would save the country as much as £5billion a year. Mr Cameron will claim there is a 'market failure', with scientists and drug companies having no incentive to prioritise dementia research. However Richard Murphy, a researcher at the LSE's Centre for the Economics of Education, said evidence suggested "a teacher who is consistently raising the test scores of pupils is much more likely to be a highly effective teacher". THE HOUSING crisis – worst in London, but bad across Britain – is fundamentally driven by lack of supply. For the past five years, we have been building fewer houses than in any peacetime period since before World War One. But house building has been on a downwards trend since the 1960s. Reasonable estimates suggest the shortfall in England has been 1.6m to 2.3m houses between 1994 and 2012. Moreover, too many of those we have built have not been in locations where demand is highest. We persistently build houses where they are relatively most affordable and job prospects are relatively worst. When the Depression Report was published by the Centre for Economic Performance's mental health policy group in 2006, it quantified the effects of that over-medicalisation for the first time. Talking therapies, particularly CBT, could be shown to be more effective than medication in cases of mild to moderate depression, both in getting people back to work and preventing recurrence. National Institute for Health and Care Excellence (Nice) guidelines already stated that talking therapies should be offered before drugs; the problem was that there weren't enough qualified therapists. The Depression Report showed clearly that investment in making CBT and similar therapies more widely available would be better for the economy in the long run than handing out pills. Doubling the monthly repayment for those likely to be struggling to save for a deposit on a home or to pay for the rise in their rail season ticket is hardly likely to be a popular policy. And creating such a ''cliff edge'' in repayments is likely to create a range of perverse incentives and distortionary effects in the labour market, suppressing wages. These seem pretty desperate measures to adopt. As London School of Economics researchers Gill Wyness and Richard Murphy stated in The Guardian last month in response to Hepi's report, if the UK government really wants to lower the RAB charge, it could do so by lowering fees, or it could reduce it to zero by abolishing fees altogether. As the Hepi report points out, a significant factor in Australia's lower RAB charge (around 25 per cent) is its lower tuition fees, which result in lower student debt. A higher qualification comes with lots of benefits, but weigh up the costs first to make sure it will be worth the investment. A Bachelors degree is no longer a passport to a career in some employment sectors. As an increasing number of graduates chase a limited number of jobs, a higher qualification is often expected or demanded by employers at entry level. The Postgraduate Premium, based on research by the Sutton Trust - led by the London School of Economics and University of Surrey - shows that 11 per cent of the UK workforce aged 26-60, hold a postgraduate qualification. Link to pdf of the article here. Meanwhile, justification for rapid academisation is scant. A 2009 report by LSE academics Stephen Machin and Joan Wilson signals there was little proof that New Labour's academies raised the attainment of poorer students more than similar schools. In the 1970s and 80s, some 4.3m new homes were built in Britain. In the subsequent two decades, the numbers plummeted to 2.7m. To stabilise affordability in the areas of the country people have to live and work — twice as many houses were built in Doncaster and Barnsley, where prices have been falling steeply, in the five years to 2013 than in Oxford and Cambridge, where prices are rising strongly — requires return to previous levels of house building. As an economy, we’ve not been building enough housing for 30 years or more. I take these statistics from an article by Paul Cheshire, a professor of economic geography at the London School of Economics, in the LSE’s CentrePiece magazine. Turning Houses into Gold: the Failure of British Planning Paul Cheshire. Article from CentrePiece Volume 19, Issue 1, Spring 2014. EU elections 2014: Is immigration good for Britain? Last year, the Centre for Economic Performance, a think-tank, found that the arrival of Polish children in British schools had helped lift their native classmates’ results. The researchers said one explanation is that Polish children’s stronger work ethic encourages their British peers. La mobilita dei lavoratori in Europa e notevolmente aumentata dal 2010, dopo un brusco calo dovuto alla crisi. Sono i Paesi del sud Europa che stanno facendo registrare un vero e proprio esodo. Gran parte dei migranti in cerca di lavoro sono giovani con alti livelli d'istruzione. Un fenomeno che crea problemi nei rispettivi Paesi di provenienza. Cosi, esaminate le recenti ricerche sulla migrazione qualificata e l'impatto sui paesi di origine e di destinazione, ecco cosa ci racconta Marco Manacorda, professore di Economia alla Queen Mary Univeristy. ''Quando guardiamo gli effetti della mobilita qualificata rispetto al mercato del lavoro locale, contrariamente alle teorie economiche standard, che prevedono un danno per i nativi, cio non accade. Viene registrato invece un costo per i paesi di origine, soprattutto se questi hanno investito nell'educazione''. Green belt polices that aim to keep ''the urban unwashed out of the Home Counties'' are causing a housing affordability crisis, according to a London School of Economics (LSE) professor. Britain's booming house prices have been caused by ''decades of planning policies that constrain the supply of houses and land'', according to a study by Paul Cheshire, professor emeritus of economic geography at the LSE's Centre for Economic Performance. Adopting the Australian tuition fee system could result in poorer students staying away from expensive courses say Gill Wyness and Richard Murphy in a blog article for the Guardian newspaper. They say it is not clear why the UK would want to emulate the Australian system. Charging fee levels according to how much one might earn in the future, rather than according to the cost of actually providing the degree, could exacerbate socioeconomic inequalities if debt-averse students (usually from poorer backgrounds) choose to study low-priced subjects that will go on to deliver lower wages. There have been murmurings of a similar system in the UK, but with fees linked to the institution attended rather than the subject studied. Such a system would suffer from the same kinds of problems, with debt-averse students potentially staying away from high-fee elite institutions. 48 per cent of European adults between 18 and 30 now live with their parents, an increase from 44 per cent at the onset of the economic crisis in 2007. But the highest number is in Italy, with 79 per cent. That's up from about 60 per cent a few years ago, according to a separate report. ... In a 2005 paper written for the Centre for Economic Policy Research [sic] in the UK, economists Marco Manacorda and Enrico Moretti wrote that while high youth unemployment (now at 42 per cent) plays a role in these living arrangements, the main factor is that Italian parents want their children to live with them. The parents essentially bribe their children to stay home by feeding them, doing their laundry and giving them money in exchange for care and companionship. There have been several other attempts at complementing or replacing GDP. Sir Gus O'Donnell explains the impact wellbeing research is having on policy. The UN implemented the human development index, the OECD has a ''better life index'' and even the UK's own Office for National Statistics measures national wellbeing. Recently, Sir Gus O'Donnell, a former senior civil servant in the UK, published a wellbeing and policy report, which investigated the main economic, social and personal drivers of happiness. ... But there are those who resist the idea that GDP cannot map welfare. Nick Oulton, of the London School of Economics, argues that economic growth can be a good measure of a country's wellbeing. ''It won't solve all problems, but a rise in wealth can lead to declines in infant mortality, increased life expectancy, and people getting healthier because they can afford to eat more food,'' he says. Professor Luis Garicano, from the London School of Economics, said the economic models used to predict inflation seem to be breaking down, leading to serial misjudgments. ''They need to take very serious action,'' he told the Financial Times. El dilema de Espana, Luis Garicano. Book published in January 2014. The commission’s authors (who include Richard Layard, an academic who has long supported more use of well-being indices in policy), favour the second measure of general satisfaction with life. More comprehensive cross-country measurements, they suggest, might help governments adopt useful innovations from other countries. Many considerations turn out to be widely shared across cultures. Work matters more for psychological reasons than pecuniary ones. Trust in one’s local community figures highly as a source of mental ease. Physical environments and good urban planning also figure highly . Emotional health might be enhanced by inculcating virtues like resilience more energetically at school. Vicar or publican - which jobs make you happy? A report out on Thursday from the former head of the civil service, Sir Gus O'Donnell commissioned by the Legatum Institute, explains the impact wellbeing research is already having on policy and argues for more of it in the future.It confirms what the chancellor must know - that economic growth is indeed good for social wellbeing. But there are other areas of state activity that might be given greater priority if politicians want to improve the nation's happiness. An emphasis on improving mental health is one, ensuring towns and cities include plenty of places where residents can meet and interact is another. There is evidence that an "active" welfare system encouraging people into work is better for wellbeing than a "passive" safety-net approach. Chancellor George Osborne has unveiled his fourth budget. As the day develops, our panel of experts here give their take on what this budget means for the economy, healthcare, education, the environment and, of course, ordinary members of the public. The BBC has summarised today's budget as about ''pensions, savings and bingo'' and indeed there does seem to be a strong focus on the older generation. Politically this makes sense for the Conservatives as older, wealthier groups are more likely to consider voting Tory. But economically the group which has lost out most in the aftermath of the recession is the young with 20 percent unemployment among the 18-24 year olds and average earnings reduced by 8 percent for those in their 20s. Ironically intergenerational inequalities were eloquently identified by Conservative Minister David Willets even before the recession started in his well-received book The Pinch. The new pension arrangements are set to net the Treasury a tidy sum, the hope is it will spend it on programmes to ease the squeeze on Generation Y.
George Osborne boasted of Britain's economic strength with raised growth forecast of 2.7 percent this year. But the budget small print admits that this growth only gets national income up where it was in 2008. Under the Chancellor we have suffered the worst squeeze on wages and the slowest recovery for over a century. The government made a huge policy error by accelerating austerity four years ago. Slashing public investment when output was depressed derailed the recovery - it is still a third lower than before the crisis. Measures on housing policy create a feel-good factor for homeowners that might help boost the Tory vote, but it puts the taxpayer on the hook for huge debts in the decades to come. And Budget benefits to pensioners are good for grabbing the grey vote, but they have been relatively shielded from the turmoil of the last 5 years. The increases in personal allowances are welcome, though the main beneficiaries will not be the very poor. The budget has some tinkering with taxes to stimulate investment in a desperate attempt to deal with the fact that business investment remains depressed. But the cause is again Osborne-omics: the slashing of government investment, depressed demand due to austerity and the failure to sort out the banks. For decent growth, jobs and pay, we deserve much better than this. Era andata meglio nel 2013, quando il Forum di Davos aveva incluso tra gli Young Leader quattro ''italians'': Fabrizio Campelli di Deutsche Bank, Silvia Console Battilana della Stanford University, l'allora vice-ministro del Lavoro e delle Politiche Sociali Michel Martone, Martina Viarengo del Graduate Institute di Ginevra ed London School of Economics. Mentre, nel 2012, tra i (due) connazionali in lista compariva un ''major of Florence'' sulla buona strada per altre cariche: Matteo Renzi. Had gone better in 2013, when the Forum in Davos had included among the Young Leaders four ''italians'': Fabrizio Campelli of Deutsche Bank, Silvia Console Battilana at Stanford University, the then Deputy Minister of labour and Social Affairs Michel Martone, Martina Viarengo of the Graduate Institute in Geneva and London School of Economics. While, in 2012, of the (two) fellow in the list appeared a ''major of Florence'' on track for other offices: Matteo Renzi. When thinking about policy responses, it is worth looking at the past to see how historical events can leave cities trapped in locations that are far from ideal. We have done that in a study that compares the evolution of two initially similar urban networks following a historical calamity that wiped out one, while leaving the other largely intact. Professor Paul Dolan featured in Episode 9 of the BBC2 programme - Horizon. The episode was looking at how people really make decisions. Every day you make thousands of decisions, big and small, and behind all them is a powerful battle in your mind, pitting intuition against logic. This conflict affects every aspect of your life - from what you eat to what you believe, and especially to how you spend your money. And it turns out that the intuitive part of your mind is a lot more powerful than you may realise. A top crop of UK managers voted for the best article, as the must-read piece of research to come out of British business schools over the last year. An article by Professors Nicholas Bloom, Raffaella Sadun and John Van Reenen - all of the Centre for Economic Performance - had their research, asking whether management really works, shortlisted. Articles were submitted to the competition by academics which were then reviewed and rated online by CMI members. Those with the highest ratings were then assessed by CMI's Academic Advisory Council, a committee of leading UK academics, who selected the following as the top five. 'Does Management Really Work? How three essential practices can address even the most complex global problems' by Professor Nicholas Bloom, Professor of Economics at Stanford University, Professor Raffaella Sadun, Assistant Professor at Harvard Business School, Professor John Van Reenen, Director of the Centre for Economic Performance at the London School of Economics and Political Science. 'Does Management Really Work? How Three Essential Practices Can Address Even the Most Complex Global Problems', Nicholas Bloom, Raffaela Sadun and John Van reenen. Article in Winning Ideas. The Management Articles of the Year. CMI - Chartered Management Institute, February 2014. The labor economist Alan Manning, in his book Monopsony in Motion (first chapter), argues that these two elements together means that employers have a small amount of market power over each job out there. This power is like a monopoly power, but the power doesn't come from the size or concentration of the firm but instead from the difficulties of the search. The announcement that the government intends to sell off part of the student loan book is perhaps no surprise, but it is bad economics. Debt from student loans is currently a groaning £46.6 billion on the government's balance sheet. The government has already made very clear its intent to further privatise the UK's higher education system. The argument is simple. They want to convert an extended stream of income from student loan repayments - which are paid by graduates at a small proportion of their income each month, thus drip-feeding repayment to the government for up to 30 years into the future - into a one-time payment now. This would immediately lower the public debt number. It is a simple move of income in the future to income today. But the truth is that selling the student loans book in this fashion is bad for students, bad for taxpayers, and may even undermine the entire ethos of the higher education finance system. The Spatial Economics Research Centre was launched in April 2008 to provide high quality independent research on why some regions, cities and communities prosper more than others. It mobilises international expertise and provides information for policy makers to enhance their capacity to diagnose and tackle existing spatial inequalities. One significant part of its mission is to contribute to capacity-building in this field by working and networking with young researchers. To pursue this aim, the Centre’s annual conference in May is held over two days, with the first half of the programme devoted to presentations based on current / recent PhD research, and the second to papers by SERC staff and affiliates, relating to the Centre’s own research. These sessions have been very successful in the past in terms of participation and feedback. Successful applicants will be invited to attend both days of the conference. Financial support for authors of those papers selected for presentation (covering economy travel and budget hotel) will be provided by SERC. The choice of papers will be based on 500 word abstracts which should be sent via email by 28th February to Linda Cleavely [l.f.cleavely@lse.ac.uk], together with information about the author’s affiliations, status and date of PhD submission (if awarded in the last three years). Each presenter will also be expected to serve as a discussant. Authors will be notified of decisions by 10th March. If your paper is accepted, deadline for full paper submissions is 2nd May. Monica is a Visitor to the Centre for Economic performance from January until December 2014. She is now a PhD student at the Graduate School of Economics and Management (GSEM) - joint programme of the Universities of Padova, Verona, and Ca' Foscari, Venice. Her research interests include labour economics, education, econometrics, and policy evaluation. In many settings, criminal behaviour can be analysed just like any other economic decision-making process, namely - as the outcome of individual choices influenced by perceived consequences. This column explains the advantages of adopting an economic approach to understanding crime. Furthermore, criminal law and crime-prevention programmes can be evaluated using the same normative techniques applied to health, education, and environmental regulation. Would increasing the share of Britain's national income devoted to education make much of a difference? And what is the ideal balance of spending between early years, primary and secondary education? Steve Gibbons and Sandra McNally review the research evidence on the causal effects of school resources on pupil outcomes. Meanwhile, the DfE document still quotes approvingly from the 2010 report by Stephen Machin and James Vernoit from the London School of Economics, which highlighted improvements in academies opened under Labour, even after Machin has called on ministers to stop using it in reference to academies under this government. As some tech firms dispense with bosses, is there a future for managerless companies? Management is not about to disappear. As long as decisions need to be taken to steer companies and business units, there will be two choices: endless meetings, or assigning the decision to a boss. Think of Apple's decision to introduce the iPhone in 2007. From 2004, it had to decide where to focus its resources. A new TV? A tablet computer? Or a phone? Making such a decision without a boss is extremely hard. It involves multiple units, from design to sales, and means changing the jobs of thousands of people. Making such a decision by committee would involve endless lobbying and politicking. Even some of the practices that seem most rigid and bureaucratic, such as endless approval chains for new projects, often make sense. Rather than eliminating management, companies should work on ensuring that promotions are made on merit and eliminate politicking, preening and credit-hogging throughout.